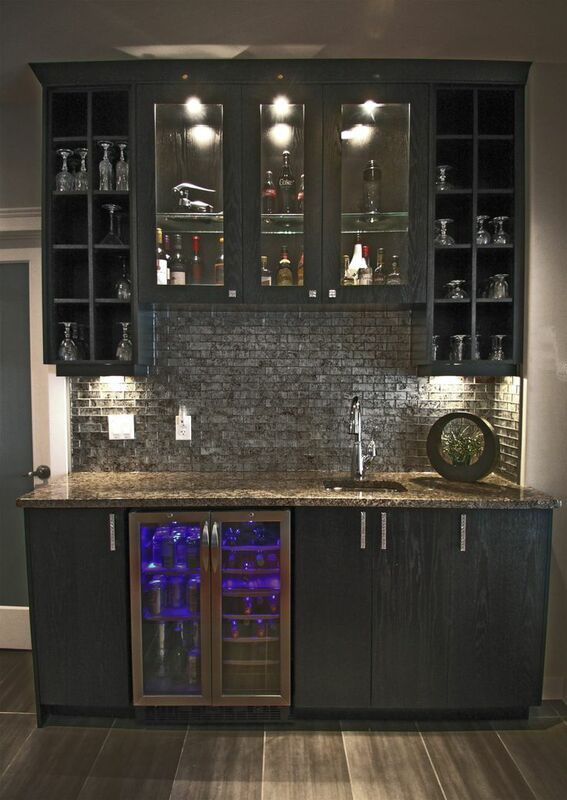 Home bars are a great idea for home improvement projects. With a bit of innovation, they can be built anywhere in a house, and they are a good setting for entertainment and for having friends over. Also, they are useful for settling in after a long day of work. A good way to construct a bar is to find the right combination of elements, such as accessories, decorative objects, cabinets, countertops, and of course, glassware. Materials employed do not have to be very expensive. For example, bottle caps can be used for wall decor and recycled, empty beer cans as track light. It is important to understand what kind of elements you use for your foundation. There is the option of a trendy style or something classic that has the potential to serve a long time. Trendy looks make use of bright paint on cabinets and neutral colors on countertops. They also use neutral cabinets and countertops with a showy texture or color. Color or stain contrasts can be interesting if you have two set pieces like cabinets and islands. 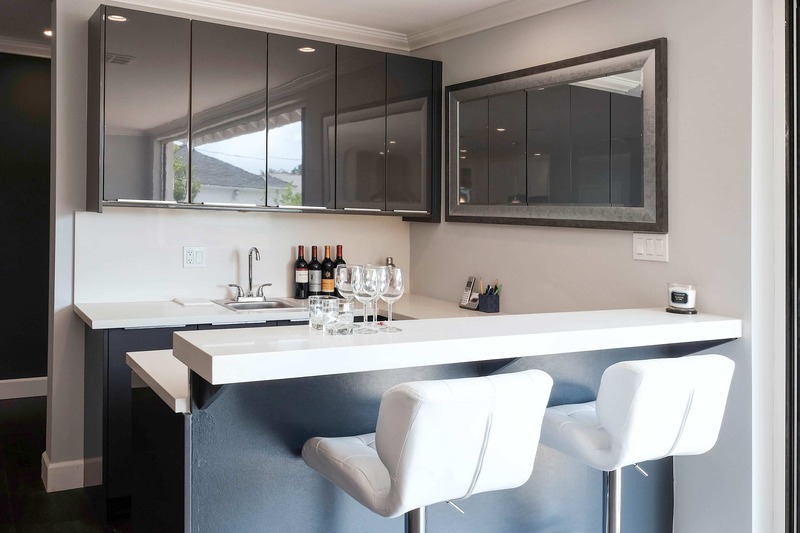 Classic looks can be produced through a pairing of dark stained wood and black granite countertops, or through a pairing of white cabinets with black or light granite countertops. Accessories can help a homeowner create the right style for their bar. For this, there are a large range of objects, each with a different color, shape and material. Gold, silver, brass and other metals offer the most authentic bar looks. Among accessory options, there are serving glasses for cocktails, mirrors, and even sinks that can subtly improve the overall decor of your home bar. 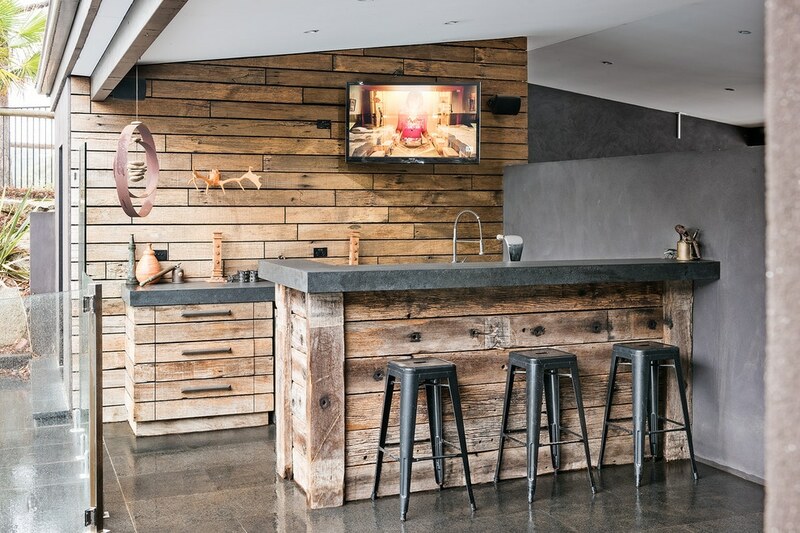 An important consideration when adding a bar to your home is placement. Suitable locations include kitchens and dining room areas; however, living rooms and basements are also good alternatives. Homes located in places with nice weather throughout the year have the option of an outdoor bar, but bar appliances will need electricity and water to function in these spaces. Large furniture will give a bar a refined appearance, and it will also allow homeowners to showcase liquor, and drinkware. Built-in cabinets are costly, but they will provide a sophisticated, fixed look. However, building cabinets can be a task too large for someone with little experience in construction. In this case, bookshelves or a buffet table are viable options for storage. Books and bottles are about the same size. For this reason, library shelves make great pieces for home bar furniture. 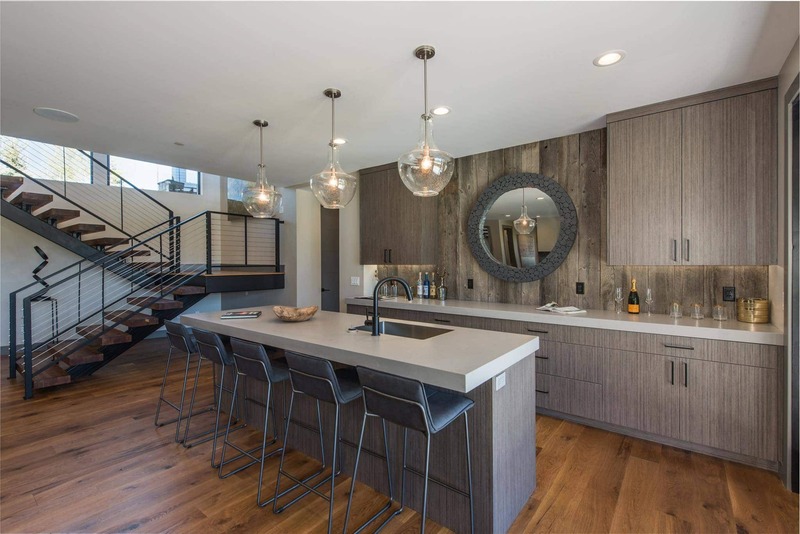 Built-in islands offer ample room for preparing drinks and serving hors d’oeuvres at receptions. By incorporating bar stools at these islands, guests will be better suited to socialize. Seating arrangements are an important element for a popular bar. A few vintage chairs or couches can be enough. The addition of a sink can make a bar more functional, as it will also give you the chance to clean glasses and serve drinks. This will be difficult if you don’t have a water line close-by. ice and beverages cold. A small refrigerator will come in handy for this type of arrangement. If a homeowner is interested in wine, a wine cooler will be a better option. If you do not want to spend too much on a home bar, there are other options. For instance, bar carts can offer an inexpensive area to hold liquors, and they can easily be moved around the house. Due to their mobility, bar carts are able to serve various purposes. Homeowners can get plenty of ideas for bar carts by looking at vintage shops, thrift stores, and online retailers. Once a bar is set up, its appearance can be enhanced with “shakers, strainers, cocktail recipes, serveware, napkins, and various kinds of glasses” for different beverages. The amount of money that you spend will depend on your creativity, style, antiques and objects that you use. 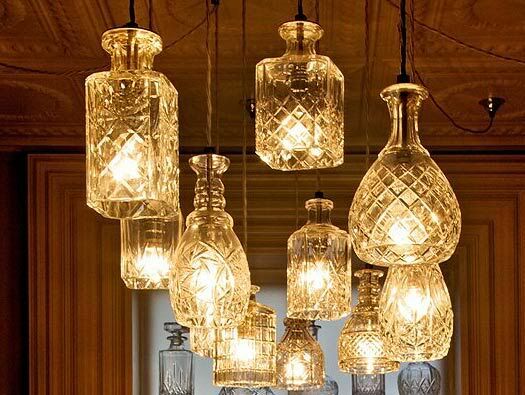 An inexpensive but beautiful look is created by using whisky bottles or old decanters for lights. But even beer bottles can be beautiful when arranged creatively as a chandelier.